It's no secret we love holidays around here and we love any excuse for some holiday themed fun. We also love holiday candies! 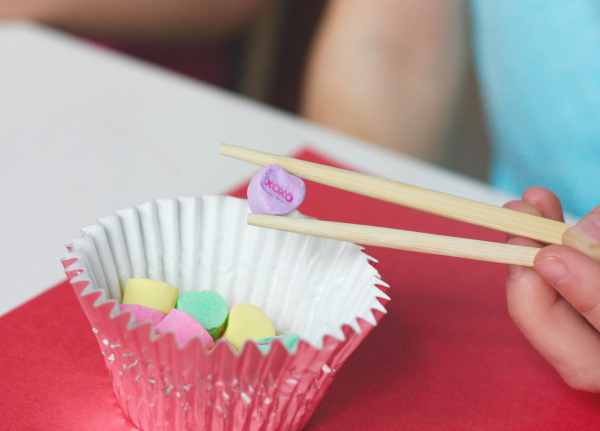 No lie, last year I was in Boo-Boo's class helping with a Valentine's activity and the kids were using these conversation heart candies to mark their spaces on a game board. When they were done I told the kids they could eat them. Several of the children looked at my like I was crazy and asked if the hearts were actually candy! I couldn't believe it. I guess not every mother purchases the traditional holiday candy for each and every holiday! 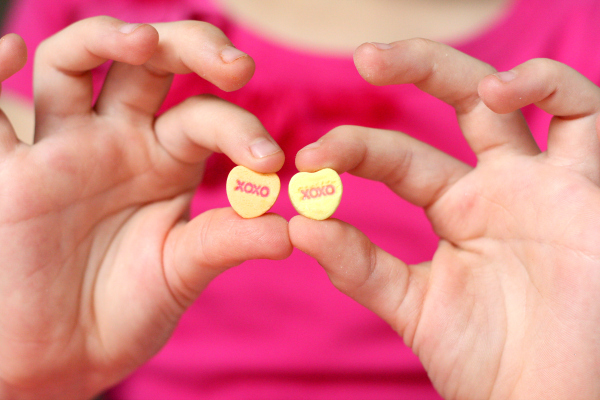 Never one to deprive my kids of simple holiday guilty pleasures, my kids are no strangers to conversation heart candies! 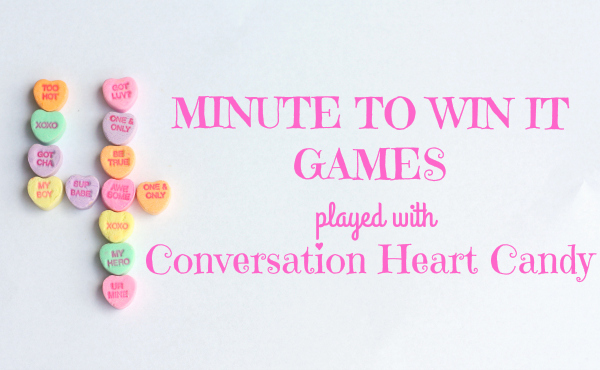 Today over on Savvy Sassy Moms we are sharing all about some easy 'Minute to win it' type games that can be played using conversation heart candies! Most of the games only take a few supplies and are sure to be lots of fun for everyone involved. I've done these games with preschoolers all the way up to 4th graders. It makes me kind of sad that as kids get into elementary school they no longer get "parties" except for the very few allowed, but these type of games don't take up much time at all and are often a fun welcomed break during the day that most teachers are totally down with. 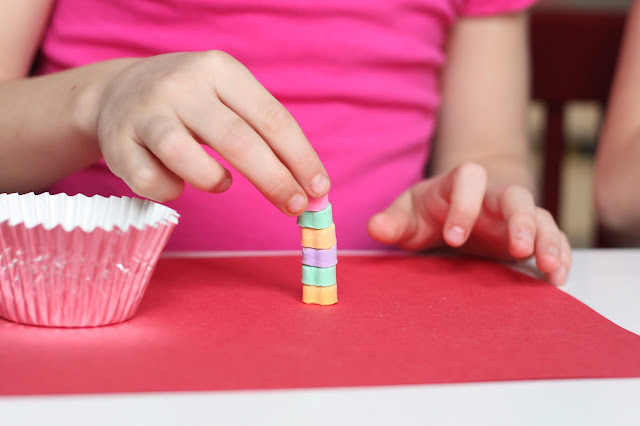 Be sure to head on over and check out the post HERE to read about all the fun, but simple Valentine's Day 'Minute to win it' games!